When the sun sets and dusk falls upon your neighborhood, does your home stand out or fade into the shadows? If you are hoping to create a more stunning evening time view of your home, the right outdoor lighting can help. As outdoor lighting experts in Eugene, we are passionate about helping our clients find the perfect lighting solutions for their specific needs. 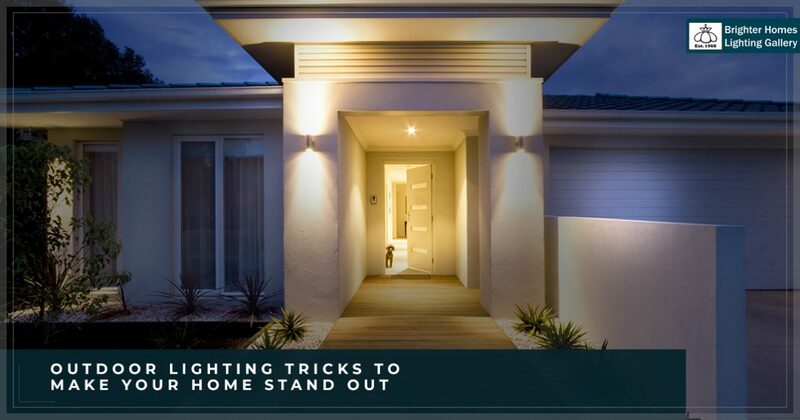 Check out these top outdoor lighting tricks that will help make your home stand out at night and will leave your guests in envy of the beauty of your home. 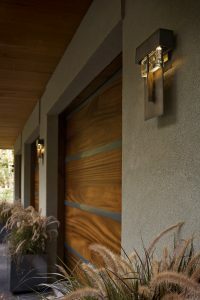 The first place you will want to begin with your outdoor lighting overhaul is with your front door. You can set the mood for the rest of your landscape lighting with the right entryway lights. First, you can implement soft pathway lighting that leads to your front door. This will act as a guide for your guests, leading them to not only walk to your front door but drawing their eyes down the pathway to your doorstep. At your door, you can use a variety of stunning light fixtures to design whatever style you want. For a classic and elegant take, implement gas lanterns alongside your doorway. These flickering lights will create a turn of the century ambiance. For a modern take, pick out sleek lighting fixtures that hug the wall. Whatever style you decide upon, use your front door as the starting point for this design and then carry it out across your property. Do you have a beautiful fountain in your front yard or perhaps a cascading waterfall? Does your landscaping include a koi pond? If you have any stunning features, make sure you highlight them with the proper lighting. For example, if you add lights to the back of your waterfall, the cascading water will sparkle and reflect the light, catching the eye of anyone who passes by. Perhaps the most stunning feature in your yard is an ancient oak tree. Light up this tree to add a special, natural beauty to the place. Whether it is a man-made addition to your yard or a beautiful piece of nature, make the most of any major feature by adding lighting to it. Nothing will bring down your home’s curb appeal like outdated and dingy looking lights. While you are adding new lighting features, make sure you don’t forget to upgrade any existing lights that are looking well past their prime. Not only do old lights ruin the design and appeal of your home, they are less energy efficient and less effective at lighting your walkways and porches. Get rid of any eyesore lighting and add new features that will tie in with your chosen design theme. If you are hoping to create a stunning look for your home after night falls, talk to our expert team. We can help you design the perfect outdoor lighting in Eugene to ensure that your home looks its best, day or night. Reach out today to learn more.